Leadership can take root wherever it is given a chance to flourish. 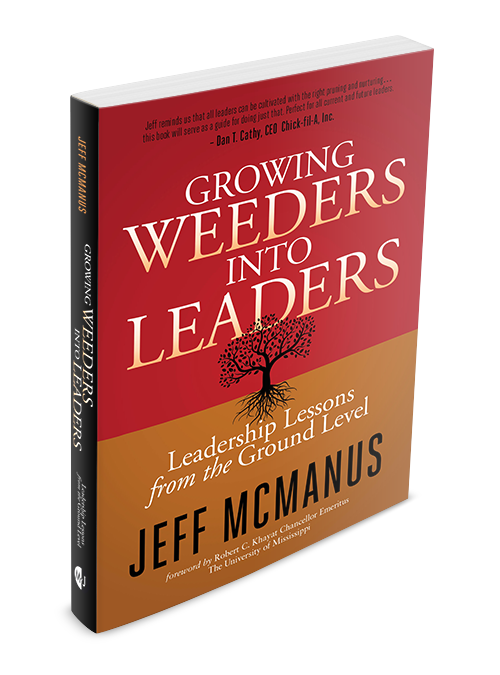 This is the message behind Growing Weeders into Leaders – Leadership Lessons from the Ground Level, by the Director of Landscape Services at Ole Miss, Jeff McManus. He tells the story of growing individuals into a unified team so that both the campus grounds and his team of landscapers could thrive. When McManus was brought onboard in 2000, the University of Mississippi’s 1,000-acre campus needed better tending. But before he could improve campus aesthetics, he needed to engage his team in a larger vision — essentially their role in attracting top talent to the university to cultivate the next generation of leaders. His stories about how he worked to get buy-in to the team becoming “the best of the best” is a lesson every would-be leader can apply. For employees to thrive, they need to have ownership in the organization’s mission. McManus tried to connect with his employees by meeting with them individually and asking for feedback. He was often met with blank stares. Somehow, he needed to build trust and empower his employees to contribute their ideas. Training became part of the department’s weekly schedule, and although it took away from the continual demands of mowing, planting, weeding and pruning, it paid off by making the team more efficient and establishing a culture of learning and growth. They called their training program Landscape U. Staff were invited to share their skills with the rest of the team, which helped develop their leadership abilities. Learning also took place on field trips to other campuses. During his first year at Ole Miss, McManus took five supervisors to visit Vanderbilt, University of Louisville, University of Kentucky and several other campuses. The strategy paid off as the growth among his team in terms of learning other universities’ landscape standards compared to theirs at Ole Miss was substantial. In subsequent years the staff continued to travel to other campuses to learn what others were doing. Making these trips is no small expense, but McManus believes they save his department countless dollars through the ideas they generate. One four-hour tour, he says, is worth 100 hours of training. At one university, grass clippings clumped on the sidewalk and on the lawn in front an iconic building on the campus left a poor impression. They realized how first impressions of a campus matter. McManus also worked to create a flat organization that gave him direct access to everyone on the team, and allowed everyone direct access to him. He did so by establishing himself as authentic, approachable and open to listening. He tried to be present as often as possible at work sites, to stop by the break room or check in with staff at the end of the day. He often invited a team member to drive with him in the golf cart to look at something and ask for his or her opinion. McManus wanted to get across that he wasn’t the person with all the answer or the one needing to make all the decisions. 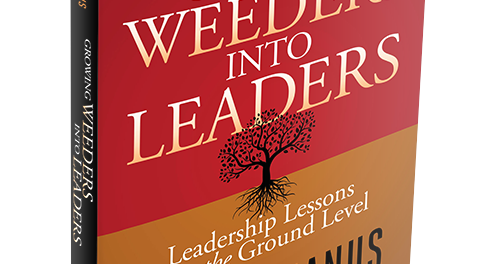 Through trial and error, several of the seeds of leadership strategies that McManus sowed began to bear fruit. His team took their roles to heart. Their jobs became more than mowing, trimming and planting — they came to understand how they were cultivating an environment where others could learn and excel on their way to making a great difference in the world. And, the team’s goal of becoming the “the best of the best” came to fruition through awards from the National Professional Grounds Maintenance Society for Best Maintained Campus, and when both Newsweek and the Princeton Review named Ole Miss the most beautiful campus.